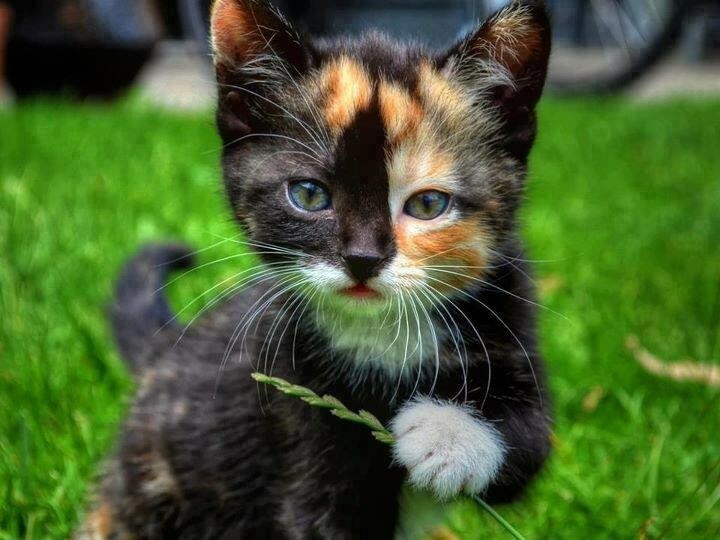 What a little beauty with her painted face! Awww...indeed! What a little cutie pie. I want her too. A great bit Awww. What a pretty kitty. We used to have a cat who looked like this. Tootsie lived a good long life! Beautiful markings and so serious looking. Aw, what a cutie. Kind of a feline phantom of the opera. Kinda. what a beautiful face! She's wonderful! Have a lovely day!